In 2016, the Lisa Harris Gallery celebrated its thirty-second year in Pike Place. Throughout its more than thirty-two years of existence, the gallery has featured works in various mediums that "present the diversity in technique, approach, and creative vision" that the gallery has become known for. Now, the Lisa Harris Gallery is called the Harris Harvey Gallery. They say: "Harris Harvey Gallery is the new face of Lisa Harris Gallery (established 1984) and a member of the Seattle Art Dealer's Association. 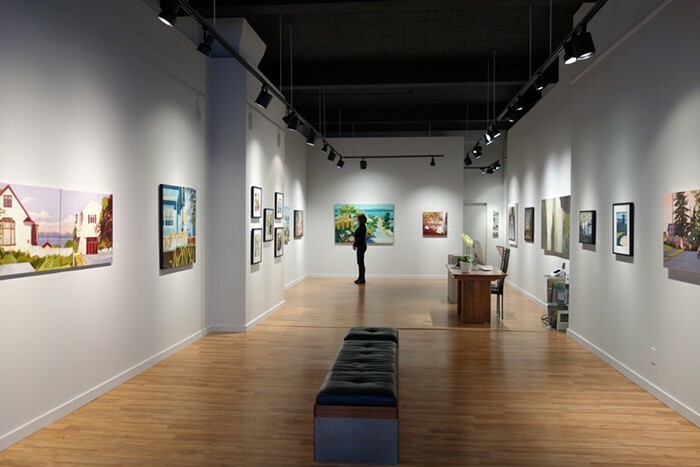 Continuing the tradition of Lisa Harris Gallery, Harris Harvey Gallery represents contemporary artists based on the West Coast - with particular emphasis on the Pacific Northwest. Specializing in landscape, figurative, narrative, and abstract art in a wide variety of media, Harris Harvey Gallery mounts rotating exhibitions and participates in the monthly First Thursday Art Walk in Downtown Seattle."